Malaysian Chinese Kitchen is 1 year old today…YAY! 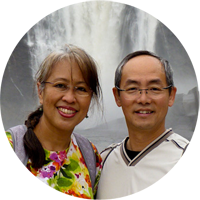 It seemed like only yesterday when Paul and I decided to start this blog to promote appreciation of Malaysian Chinese food and culture which are in danger of being lost to modernization. Since then, we have had many positive affirmations from our dear readers that the stories and recipes have reminded them of their own experiences growing up in Malaysia. We are grateful that it has, in a small way, brought many to a happy, nostalgic place. We would like to take this opportunity to thank you for your support and ask that you continue to share our blog to family and friends. Together, we can keep the Malaysian Chinese culture alive and well. To our many other visitors, we hope you get a glimpse of some of the cultural and culinary gems of the region. Perhaps someday you may be so inspired to visit or try some of the recipes shared here. 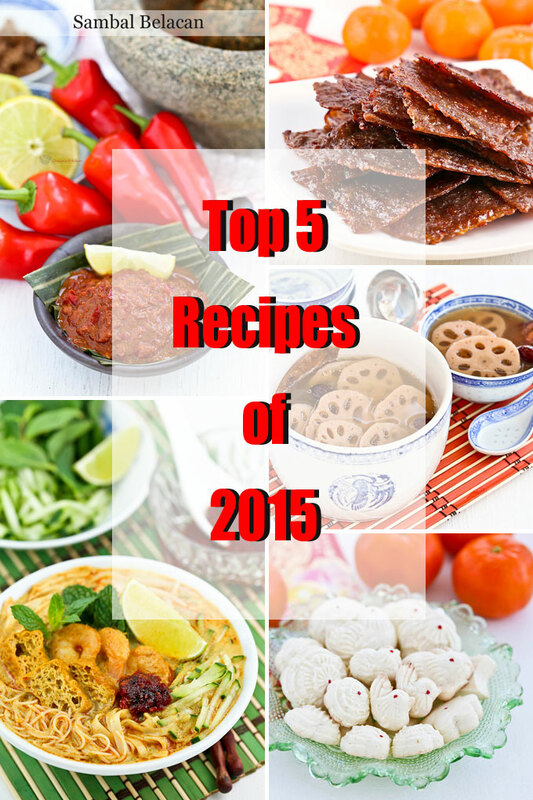 Without further ado, I would like to share the Top 5 Recipes of 2015 with you. Simply click on the link, image, or video to view recipe. 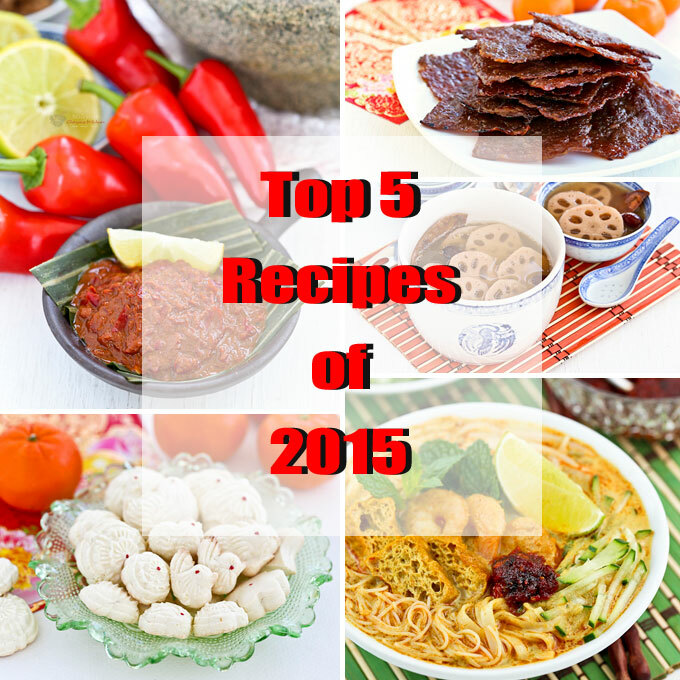 #5 on the list is Kuih Bangkit (Tapioca Cookies). While it is the fifth most viewed recipe on this blog, its video is the most popular recipe on the Malaysian Chinese Kitchen Channel on Youtube with over 31,000 views. #4 goes to Leng Ngau Tong (Lotus Root Soup), the epitome of delicious, nourishing, home-cooked soup. It is a favorite at our house. #3 is Bak Kwa (Chinese Pork Jerky), a Chinese New Year favorite. With this recipe you can now make your own Bak Kwa any time of the year at a fraction of the store price. #2 is Curry Laksa (Curry Mee), a spicy coconut based curried noodle soup with a variety of toppings. It is a must-try whether in your own kitchen or when visiting Malaysia. Special mention goes to How to Mince Meat Using a Cleaver for being the No. 1 video on the Malaysian Chinese Kitchen Channel with over 36,000 views. This is a quick and effective way to mince meat with only chopping board and cleaver to wash. No fuss and mess. WISHING YOU ALL A VERY HAPPY AND PROSPEROUS 2016! Be sure to stay tuned for more Chinese New Year stories and recipes coming up on February 8th.